Every year the family and I make the 1+ hour drive north to the Wooden Shoe Tulip Festival in Woodburn Oregon to take in the acres upon acres of colorful blooming tulips. It’s really an amazing experience and one we enjoy as a family. If you find yourself in Oregon around March and April go check it out. 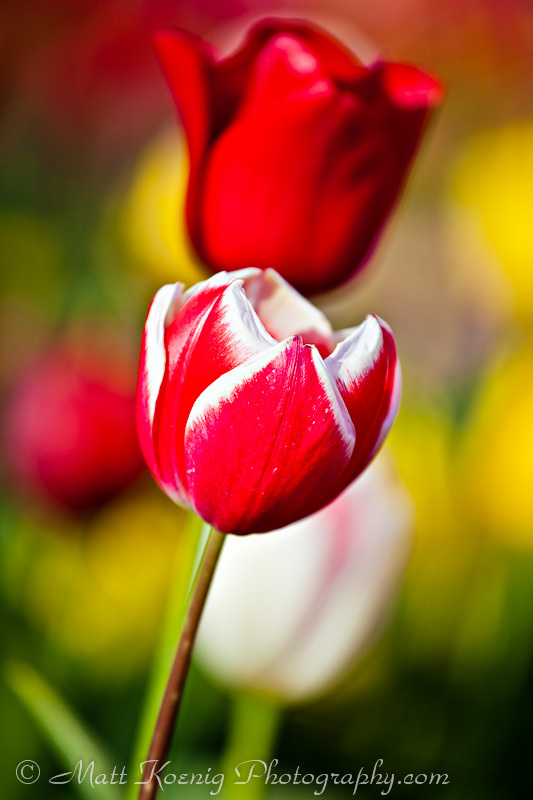 I’ve been sitting on literally hundreds of photos I took at the tulip festival for several years now. From time to time I will go back through them and process and re-process a few. Today it dark and dreary and raining all day long so I thought why not cheer myself up with some colorful tulip photos to remind myself that it won’t be long again until the tulip festival kicks off again. I post a few now for your enjoyment. 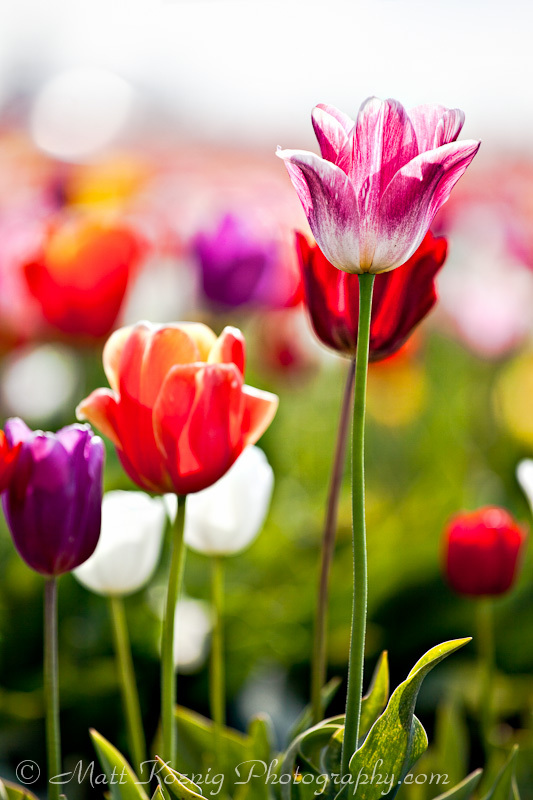 Tulips come in every shade of color imaginable. I can’t say that I am ever really happy with an image. There are many that I really like and enjoy but I always seem to be tinkering with them, processing them in different ways, playing with different crops, experimenting. Often my original vision will change and an image will transform into something completely different. And I’m OK with that. I like being able to create different versions. It's literally a sea of blooming tulips at the Wooden Shoe Tulip Festival. 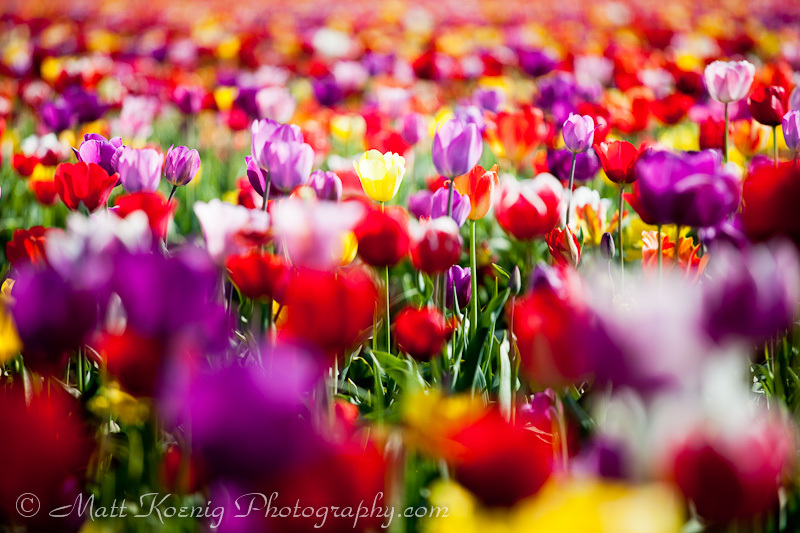 Now that I have the Canon 100mm f/2.8L IS macro in my lens arsenal I’m really looking forward to the tulip festival this year. Being able to take some macro shots of individual tulip bulbs is going to be pretty incredible. Despite the doldrums of the heavy rains today winter will soon be fading giving way to Spring and what will hopefully be an incredible wildflower season. Love the white fringing on the petals of this red tulip. I hope you enjoyed these few tulip photos. They are just a few of the many that I continue to work through. You can check out more of my 2011 tulip photos on my Flickr site here and my 2010 tulip photos over here. If you love tulips share it with a friend!